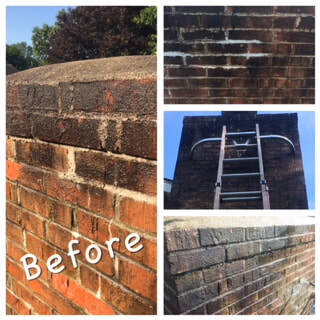 There are several reasons to have your chimney cleaned annually. The main reason is the safety of your family. The National Fire Protection Association estimates that 25 percent of home heating fires are caused primarily by creosote buildup in the chimney. Having your chimney swept gets rid of the build-up that causes these types of fires. Many times, customers aren't even aware that they have had chimney fire. Heat from a chimney fire can also cause serious damage to your chimney and liner. This not only makes it less effective in heating your home, but also causes repair costs. A properly maintained chimney allows your appliance to burn more efficiently and saves you money. Cleaning also takes care seasonal debris, like leaves or even animal homes, that may be in your chimney. This could cause fires and decrease the efficiency of your heating. The inspection and evaluation of chimneys is an important service we offer. Video technology is a great way to carefully inspect the condition of your chimney. It also helps the customer make the best decisions on how to maintain or even update their current chimney hardware. We follow the National Fire Protection Association (NFPA) recommended inspection procedures. We install stainless steel chimney liners, chimney caps and other chimney/hearth accessories. 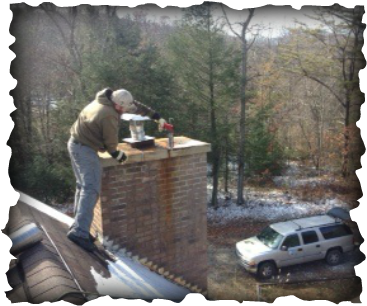 CSWV has many options in helping you maintain your chimney. Installing chimney caps is an inexpensive way to keep out debris and minimize the effects of weather. If you have an old cap that has rusted your brick and mortar, we not only can replace the cap with a stainless steel one, but we can also remove most rust stains. The before and after picture to the left as well as the image below show a couple recent cleanings. ​Many masonry chimneys lack any type of liner or have a terracotta flue tile liner. These liners are very effective as a heat insulator if they experience a chimney fire, but are also very brittle and usually crack when they are exposed to thermal shock. NFPA 211 (national fire codes) states that these liners should be repaired or replaced when they crack. A very good way to correct these problems is to install stainless steel chimney liners. Many of these liners have lifetime warranties and can effectively handle the thermal stress of chimney fires. 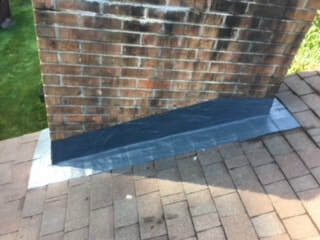 We also offer complete weatherization using sealant that is applied to the bricks themselves. Weatherization helps cut down on cracking and deterioration. The pictures to the left shows a flashing that was old, causing leaking into the home. 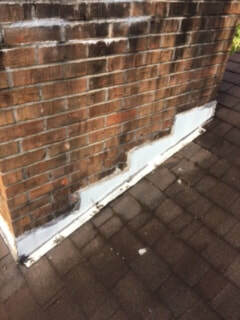 CSWV can easily fix this problem with special flashing sealant shown in the other picture. Dryer vent cleanings can remove lint buildup in the vent to improve its efficiency and protect your family from potentially dangerous fires.